My stepdad and I founded Wye Valley Campers in 2012 and it's been my largest project to date. We needed a website that allowed customers to view high quality photographs and make bookings through the site. 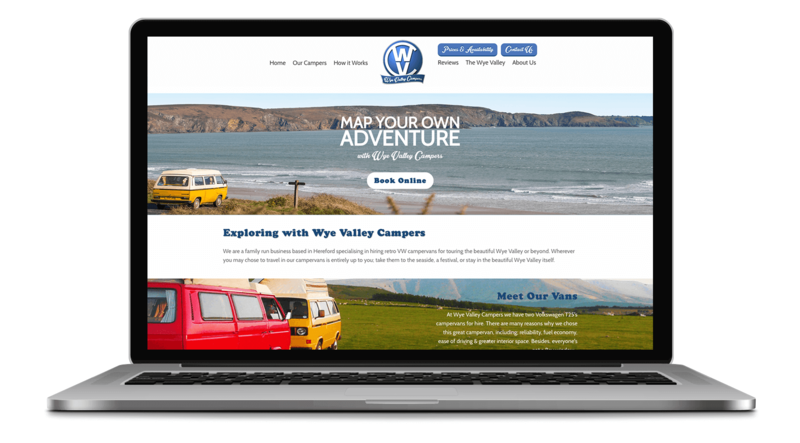 We also wanted the website to familiarise customers with the Wye Valley by including various different campsites and travel routes. As the company was started from scratch, we also needed a wide range of branding materials in order to help advance and advertise the business. I designed a variety of different marketing products including signage for the premises, swing board posters, business cards and flyers.